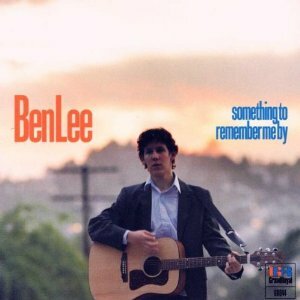 Something to Remember Me By is a very important album from my teenage years, one I haven’t listened to in quite a while. I loved Grandpaw Would and Noise Addict already, and then Ben dropped this amazing album in 1997. This album is what got the attention of a more mainstream audience, and it’s easy to see why. Every song here has special meaning to me, but I especially love Eight Years Old and Daisy for their sweet, simple imagery and feeling. If he was a grown man singing such things, it wouldn’t be as touching, but it’s the words of a lovesick 18-year-old, something which I hope most people can understand, even just a little. Also, amusing to a kid of the 80s, he shouts out tons of 80s sitcom stars on Household Name. It’s not all songs about puppy eyes and saying goodbye!